We’ve created our very own 12 days of Christmas for the life science sector. Medical Plastics News, Digital Health Age and European Pharmaceutical Manufacturer put a festive feel on the news in 2016. …voices from the industry, fitness trackers we love, insulin pens, IT nerds, life saving things, views on Britain leaving and firms that are a-winning. As always Phillips-Medisize is one step head and its latest news – that it is to open an 80,000sq ft facility on its Wisconsin site for the manufacture of high volume pre-filled drug delivery systems, is another example of its success. Over 100 jobs are expected to be created at the facility which is being driven by the signing of a new supply contract with a major biopharmaceutical company. Also expanding was West Pharmaceutical Services. The provider of innovative solutions for injectable drug administration completed a 60,000sq ft expansion at its contract manufacturing facility near Mulhuddart, County Dublin. The expansion represents West’s most recent investment in Ireland where the company is also building a new pharmaceutical component manufacturing facility and is due to customer demand for medical device manufacturing. The additional capacity at the Dublin facility will aid West in providing a better service for high-quality moulding and assembly solutions for the production of medical devices. The expansion will also provide an estimated 100 jobs within the business over the next five years. Raumedic too increased its capability. 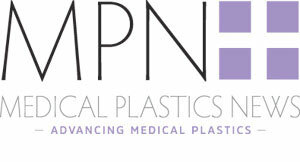 The plastic medical components group opened the doors of its new US headquarters in North Carolina. A two-story production and administration building with a total area of 5,600 m² serves as a production and development centre for polymer components and systems, including 1,200 m² of ISO class 7 cleanroom production. Other great news came from SABIC which revealed its involvement in a study to help protect patients from infection. The chemical manufacturer SABIC and infection prevention company PDI teamed up on study for medical plastics to help protect patients. The two companies evaluated how well SABIC’s thermoplastics withstand repeated exposure to PDI’s Super Sani-Cloth wipes, a surface disinfectant widely used in the healthcare environment to help prevent healthcare-associated infections (HAIs). The study revealed that several of SABIC’s product technologies – including LEXAN EXL polycarbonate (PC) resin, XYLEX (PC/polyester blend) resin and VALOX polybutylene terephthalate (PBT) resin – deliver improved compatibility with PDI’s leading hospital-grade disinfectant. “SABIC and PDI are committed to supporting the healthcare industry with information about compatibility between medical enclosure materials and commonly used disinfectants. Our joint study highlights the complex issue of environmental stress cracking, and provides valuable insights to help our customers make informed material selection decisions, ” said Cathleen Hess, healthcare business leader for SABIC. Meanwhile rubber and plastic manufacturer Cikautxo Medical outlined the latest developments in vascular access devices and antimicrobial trends. The article highlighted how the European vascular Aacess catheter market has been affected in the last years by some main trends, one of them related to the alternatives that the PICC and midline catheters offer as a substitution to conventional CVC catheters and other one related to the increasing use of antimicrobial and anti-thrombogenic performances on the catheters to reduce risks of infections and thrombus in patients.